Check back soon for the event write-up! Last edited by Speeding; 12-02-2011 at 10:48 AM. Is this the old BTF KOH rig? So did the spindle break and basically cave into the knuckle? This made me I bet he had a blast. Check out some of the best Off-Road Videos on YouTube. Last edited by MadRam; 11-29-2011 at 06:05 AM. Just a few of the videos I got. Big thanks to RickyB and all the guys for putting on one heck of a show. Last edited by MadRam; 11-29-2011 at 06:17 AM. Here are a few of the best ones we got. RZRs can rock bounce to! Screaming 2 Nails a Tree! 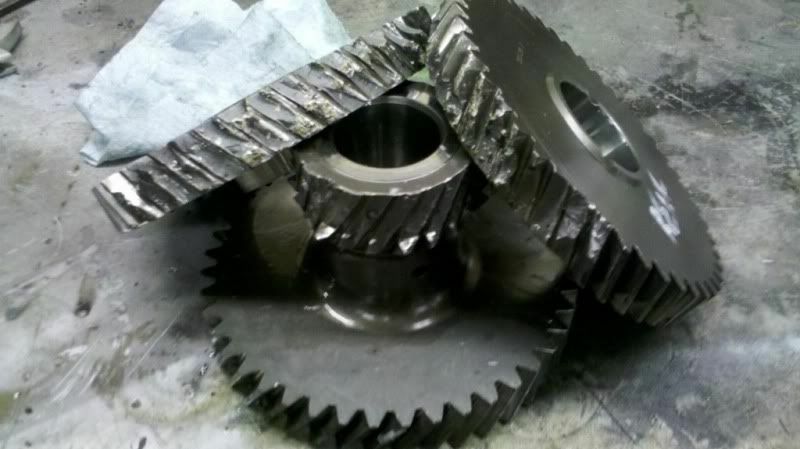 Eleanor Sheared a Pinion gear in half. Adam Lee 3 wheels it! Bobby Tanner in Screaming Blue! Your RBD 2011 hill Climb Champion! Great videos. Thats our old car that breaks an atlas, it was sold a while ago. Sheesh you ain't kidding! I'd keep my distance from that one! Seems to becoming more common carnage with the rock bouncers wheeling style! So what is breaking in the case ? 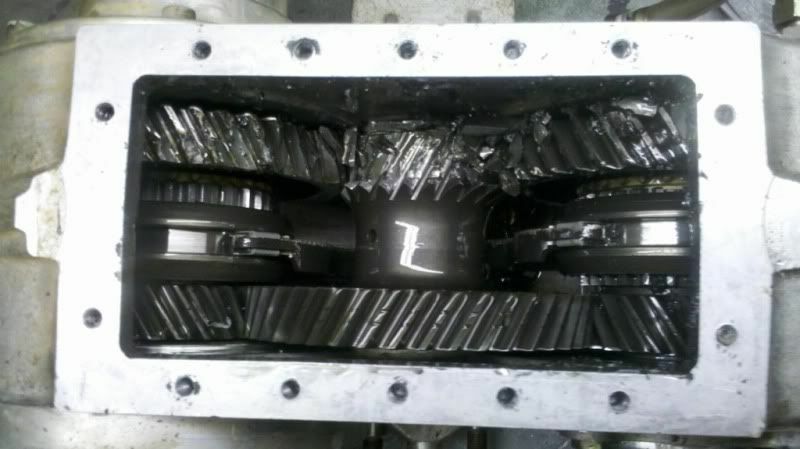 is it mainly the output shafts or the gears?
" Never underestimate the power of idiots in large groups"
outputs from what i saw. i think 3 cases let go there. 2 fronts and a rear? I didn't see any outputs break this weekend. Here is what the John Deeres atlas looks like. my my my, how times have changed....RBD has come a long way from the first event 4 years ago. Full article with final standings coming soon. Damn... I would assume he will be replacing the gears with the race version that Advance Adapters sells. What do you mean, it's one of the baddest buggies in the woods!! I think it should be tearing up some U4 races instead of bouncing. If he does race, I've never seen it. With that said, it's the owner's $$ and he can do whatever he wants, in a rig I can only dream of. He hammer's on that thing hard and I respect that. Just sayin is all. Last edited by MattyB4x4; 11-29-2011 at 02:55 PM.